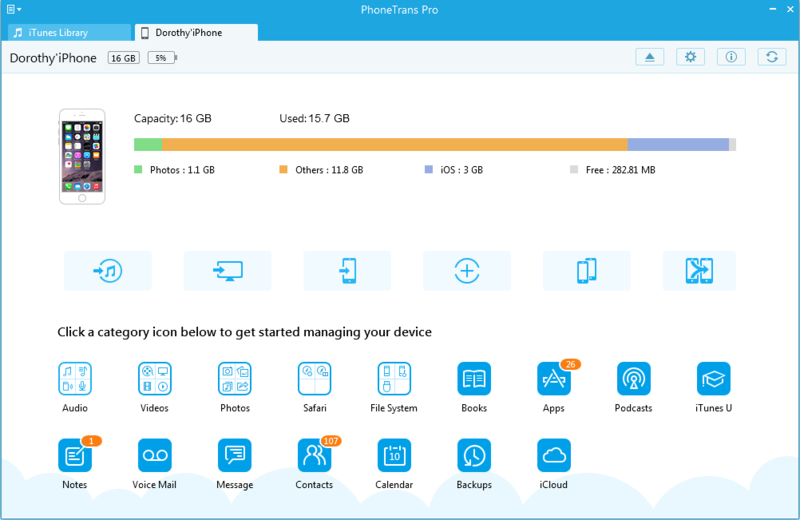 PhoneTrans Pro enables you to transfer the saved games, personal setting, and your high scores for games or other apps at the same time. Please refer to the document below to backup apps to computer. Step 1: Open PhoneTrans Pro after connecting your iDevice to computer. 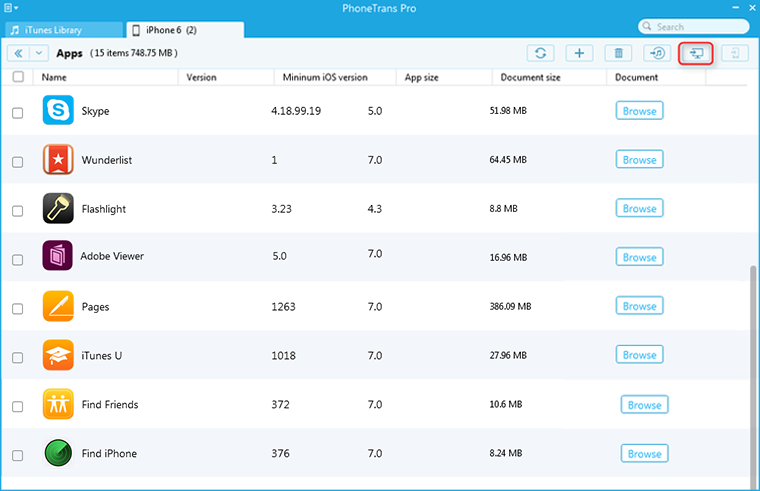 Then, you can glance over the basics of your device. Step 2: On the homepage of PhoneTrans Pro, choose "Apps" to enter the apps manage page. Step 3: Pick up some apps you want to move to your computer. Then, please click the To PC button to start transferring apps from iPhone to computer.